Allow yourself to daydream. Visualize what you would do if you wasn’t working all the time? In other words, what does true happiness mean? I believe whatever you visualized is a clue to what true happiness means. True happiness is a personal experience. Try this simple exercise. Calm your mind and take three slow deep breathes. Now ask yourself again, what would you do if you were free to do whatever you like? Close your eyes for a several seconds and ponder that. Pay attention to the ideas that pop up as if you were watching a movie. Don’t force anything to come to mind right now. 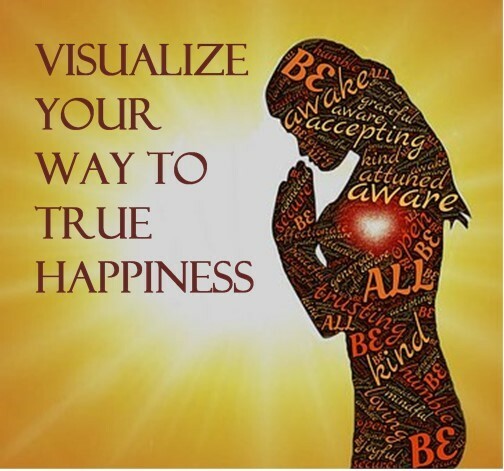 We are about to embark on visualization techniques for success to discover what will bring true happiness, and as a result, it will lead to a balanced life. This could be an overwhelming and stressful exercise for some, particularly for workaholics because the answer is likely “I don’t know.” Those who have a tendency to work too much typically have a problem relaxing the mind. Their mind is typically working in overload, all the time. Being able to stop and notice your thoughts without analyzing them or judging them is a foreign concept to them because they are trained to act, act, act. So if your answer to the question is “I don’t know,” and if you feel anxious about not knowing the answer, don’t panic. That is a typical response for those who work extremely hard. Most often, you don’t know because you haven’t taken the time to delve within. If you are stuck and cannot think of anything that you would rather do, do not give up on answering this question. This is a pivotal moment for you. What you are feeling is exactly what we want to challenge and overcome to get out of the cycle of working long hours. Not knowing basically reveals that you have yet to get in touch with your personal interests and your purpose. 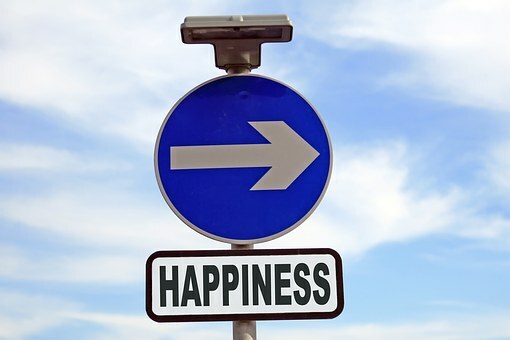 Let’s try another approach that may help you develop a vision for happiness. If money wasn’t a factor, how would you spend your time and who will you serve? What would your message be to the next generation? Now is the time to explore these things. Time spent figuring out these introspective questions is key to true happiness. If you figure this out, you can spend the rest of your life doing those things that align with your vision of happiness. It would really be unfortunate to get to the end of your life and realize that you really didn’t enjoy this awesome gift of life. It would also be really sad to be so distracted with working that you never experience true happiness. What follows are the best visualization techniques that will help you discover what lies within. Visualization is a method for transforming your mind. It is the process of creating mental images of something you want to manifest or accomplish. Scientists have proven that creating mental images in your mind is the same as doing that action physically. Our brains perform the same nerve connections in both cases. As an example, imagining yourself completing assignments easily in less time, can help you get better at doing just that. Playing that out in your mind is the first step to making it a reality. Just like with sports, many successful athletes talk about the art of visualizing the win in their minds first as a factor that attributed to their success. Another important technique in visualizing is to use all your senses when you are creating mental images of something you want to manifest. If you are imagining happiness, assume the posture of happiness such as smiling, laughing aloud, shoulders back with back straight. Feel what it is like all over your body. Smell whatever you are imagining. More important, be what you are imagining. The purpose of all this visualization, whether it is images in your mind, or cutting out images and pasting on a board, or writing a story, is to transform your mind to know that whatever you desire has indeed already happened. Give yourself 3 days to answer the questions presented above. It is important to write the answers down. Be honest. Do not write down what you feel others want for you. Only write those things down that you are certain feels good to you. Even if something you think you would be judged for, push pass that feeling and write it down if you truly feel it will bring you joy. It may only be one or two items. Additionally, for this writing exercise, imagine you are telling your happily ever after story from your perspective. If you can not think how to start the story, begin with, “in my lifetime, the things that I experienced that brought me true happiness are… I also have many others I intend to do before this life time ends, they are….” Don’t forget to incorporate the answers you discovered through visualization. If you were able to write down something fairly quickly and don’t have a problem knowing what brings you happiness, then you are well ahead of the game and simply have to uncover what is keeping you from missing out on doing those things that make you happy. Is work getting in the way? In summary, visualize that your desires have already happened. Write down your happily ever after story with you as the star. Finally, bring those desires alive through all your senses. Happiness is something we all strive for and having work-life balance means that we do not sacrifice our happiness for the sake of work. Now that you have identified those things that make you happy, and have a narrative for what that looks like, Go live it! Please share your comments below. If you prefer to share your experience with me personally or feel you are stuck, just reach out to me at coachclaudette@youworktoomuch.com, and I can coach you through this process. I enjoyed the focus on calming the mind. I think that’s probably the most important step above all. The mind is a very powerful tool that is a terrible thing to waste. It reminds me of a book I read in college called as a man thinketh! I can’t remember the author at this time as it was nearly 20 years ago. We don’t realize how much we can accomplish if we just clear our minds and put our best forward! I agree that calming the mind is major. Transforming the mind is really the daily practice because we create our reality through our thoughts. As a man thinketh was a popular book written by James Allen, but it is also a biblical. With so many distractions, people tend to forget this and look for solutions outside of themselves. I advocate for people to look within, clear the mind, and visualize desires; this will lead to moving forward in happiness. Thanks for sharing your viewpoint; it is nice to confirm these things from others. I love your article, and what you wrote it is so true. We all want happiness, and sometimes we don’t know what we truly want. I believe that visualization can help with this. At least, it helps me with my life. I am sure I would not be here writing a comment to you if visualization wouldn’t work for me. Linda, I like that you took time to comment. 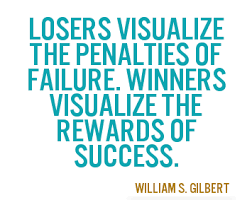 Your success using visualization is a testimony to others and encourages them to try it as well. Thanks for sharing. I agreed with that. If you dream it, you can do it. Visualize it and experience the feelings like it that have already happened to you. Michael, I do hope introducing you to this technique is timely, particularly since you are about to embark on some long hours. 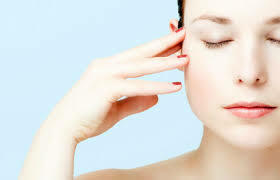 The key is to reset each day by calming your mind and visualizing success and ease for that day. Also know that sprinkling relaxation activities throughout the timeframe will make you even more productive with your work tasks. I wish you much success in your business.